And all those times, Lois Lane thought he was gazing into her eyes. 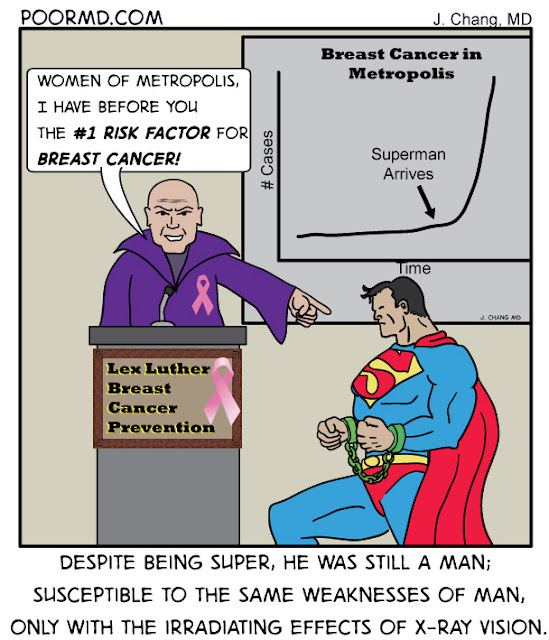 But in the end Superman had to be taken off of the streets, given the health risk he posed. The caption was edited for this comic. You can see the original version published on Diagnostic Imaging.